A preview of next week's Heroes episode said, "Stay tuned for the last Heroes episode of the year!" They get me every time. I’m sitting in front of the tube, unsuspectingly enjoying my favorite television program of choice, then all of a sudden an overly-sentimental 30 second holiday advertisement leaves me pondering life’s meaning. Gee, what is the reason for the season? Can money really buy love? There’s that jewelry commercial where a handsome couple is driving through the snow, and the fellow reaches for his lady’s hand at a stop sign and then drops a diamond necklace into her palm. And then there’s JC Penney’s entire line of holiday commercials this year. In addition to being darling, one ad in particular introduced to The Weepies, a band from California that I can’t stop listening to. 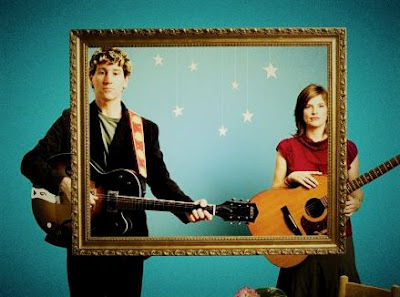 Deb Talan has a beautiful alto tone similar to another great female voice, Sam Philips, and the Weepies' repertoire mainly consists of quaint and quirky love letters written by both bandmembers Deb and Steve that never become trite. This kind of precious is combustible. -What is reality TV love when Brad Womack from the Bachelor is on the prowl? Seriously, did anyone see this, did anyone understand this? I want my life back. Now, if you'll excuse me, I am going to write to my pen pal in Swaziland, but before I do! Someone over at Houstonist told me about a local band that I'm really excited about. They're called the Dimes, and they aspire to be the Pixies in the best possible way. This is my favorite song from their new Animal EP, which you can download on their Myspace Page!!!! The boys will be playing a free show in early December at the Sound Exchange. How about that. "Art is worthless unless it plants a measure of splendor in people's hearts." This line has been in my head since I heard Mr. Muhammad Ali read some of his poems on Monday night. Taha's translator introduced the renowned poet as the "Thelonius Monk of Palestinian Literature," a description that suits him nicely. Self-taught and modest (Taha still runs a souvenir shop near his home in Nazareth,) Taha's poems are often simple observations about growing old and "the bliss of sleep and tea," and the small details of life living in a war zone. This conversational nature prepares you for the way Taha likes to conclude a phrase with a hard thought to ponder; never bitter, never angry, but certainly eye-opening to the other world we always read about in the news. Taha's latest collection of poems, So What, is very excellent. The 4th season of Project Runway starts this Wednesday! I think this is one of the most un-reality tv shows around. Staged drama episodes aside, Project Runway is really about the creative process and making art. It's fascinating to see a garment go from concept to delivery on a model. The commercial previews already have me hooked. Especially the young guy with the asymetrical hair cut who says, "I'm pure raw talent. I'm kind of a big deal." Yeah, okay, let's see how long he stays on the show. The Complete Gilmore Girls series is out on DVD on Wednesday too! All 7 seasons, 153 episodes, plus hours of extras! (So the convincing tv commercial says.) I simply can not wait. However much I griped about the last three seasons losing their Gilmore Girliness and charm, I have to admit that I terribly miss the show now. Reruns air on ABC Family but it's not the same. Isn't that how it always is, never appreciating what you have until it's gone? Sigh. Here's a song from the Gilmore Girls soundtrack. Yes, I own a copy of the soundtrack. This love runs deep. Yes, I quoted Victoria Beckham from this week's awesome Ugly Betty episode to describe my new favorite band, Ghostland Observatory. The shoe fits. Their live show is something to be seen. Earlier I said that Ghostland Observatory's singer Aaron Behrens was awesome. And while that is still true (homeboy really knows how to work it on stage too,) Ghostland's resident beat-master Thomas Turner totally rocks it too. Turner alternates between drums/vocoder/analog set to create the backdrop to Aaron's Freddie Mercury. No laptops in sight at the concert, just pure high energy and all live with these guys. You can order Ghostland's two albums, Delete.Delete.I.Eat.Meat, and Paparazzi Lightning from the group's label, Amazon, or on iTunes. They are both incredible, I highly recommend. A new album will be released early next year, Aaron gave Houstonist the 411 last week. I found this kooky clip of Ghostland Observatory playing "Piano Man" then "Stranger Lover" on a Public Access program in Austin. This band is it. Lead singer Aaron Behrens is awesome. Edwidge Danticat is a brilliant storyteller who has written a number of my favorite books, including Breath, Eyes, Memory, and Krik? Krak! But I will say none are more important than her latest work, Brother, I'm Dying. Brother was recently named a finalist for the National Book Award, and Danticat spoke to the South Florida Sun-Sentinel about the nomination and her experience writing the book. 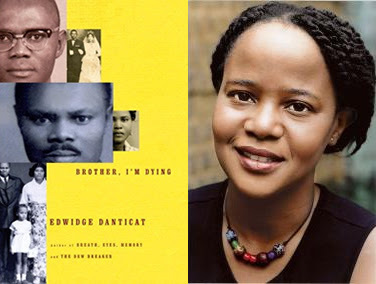 Brother follows Danticat's upbringing in both Haiti and America, and deals with the deaths of Danticat's two fathers: her father's brother, who raised Edwidge in Haiti; and her real father, who came to the U.S. when Edwidge was a young girl in search of work. In 2004, Danticat's uncle came to the U.S. to visit as he had numerous times before. However, on his last visit, he was without his visa and papers; they perished in the flames that engulfed his Port Au Prince neighborhood after a clash between U.N. Peacekeeping Forces and local gangs. Because he came to Miami without proper documentation, Danticat's 82 year old uncle was sent to Krome, a maximum security immigration detention center. 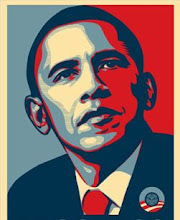 There, he was denied access to medications he took regularly for health problems, and he was mistreated and poorly fed. Danticat was told that she could not visit her uncle, not knowing that his health was deteriorating rapidly. Less than a week after he arrived at Krome, Edwidge's beloved uncle, who had survived cancer and political instability in Haiti, was dead. The cruelty that immigrants often face in America occurs all the time but rarely is it vocalized and given a name. Through her brilliant writing, Danticat lays claim to it; its ugliness, its racism, its brutality. I congratulate Danticat on the nomination and wish her the best. If we don't tell our stories, no one else will. and when I saw Winehouse earlier this year at Bowery Ballroom. It was one of her first shows in the U.S., and although she was visibly nervous/bored/or both, her booming voice commanded attention. But even then I thought Winehouse was troubled. And even then there were the hecklers, yelling at Winehouse to 'chug her drink.' Yes, this is what the crowd was screaming at a recovering addict. It's not an excuse, but I do believe that Winehouse has been pushed to the brink by an unrelenting public and media acting as third party enablers. Sometimes when screwing up is all that is expected of you, then screwing up is what you will do. I hope she gets real help soon. I had dinner last night with some college acquaintances I've known since we were all freshmen. There was no big ceremony or grand announcement in the papers, but something extraordinary happened between the time I met them and now. They'd become adults, the serious ones, who talk about grown-up things like marriage and good places to settle down and raise a family. Last night, I had the most fun I've had since I moved back to town. I ended up going to the Girl Talk show, where there was actually a crowd! And everyone was hyped. Gregg Gillis' set was almost as entertaining as watching the Rice Uni kids hop up on stage and get their boogie on (McLovin was in full effect.) But I was most excited after seeing opener Busdriver perform. It's crazy that I'd never heard of this cat before. Busdriver's Regan Farquhar is a rapper from L.A. with a crazy flow that's unstoppable. His fifth album, RoadKillOvercoat, was released earlier this year. 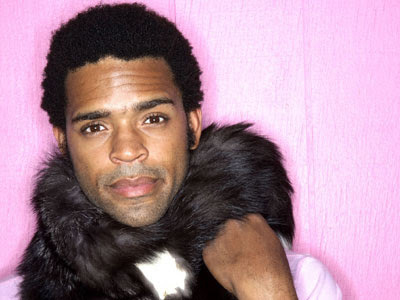 Busdriver and Girl Talk head to Austin this weekend if you're around. Someone mentioned early 90's band Madder Rose to me earlier this week, and I've been thinking about them ever since. Their album, Panic On, is one of the greatest alternative rock records from that decade. Lead singer Mary Lorson actually lived in my college town, and a good friend of mine babysat her children. Small world. Lorson is in another great band these days called Saint Low. But her songs with Madder Rose are what I find myself listening to on quiet days, when I need a little more background noise than my loud thoughts. Then I heard Kate Tucker and her band of Swedes this afternoon and I thought, this is the type of music Madder Rose would be making today. Kate's new CD just came out yesterday! and wow, did you see Nicole Atkins on Letterman earlier this week? She blew me away, she even blew Dave away.